We are on a mission to conduct specialized training sessions and seminars for Law Enforcements Officials. 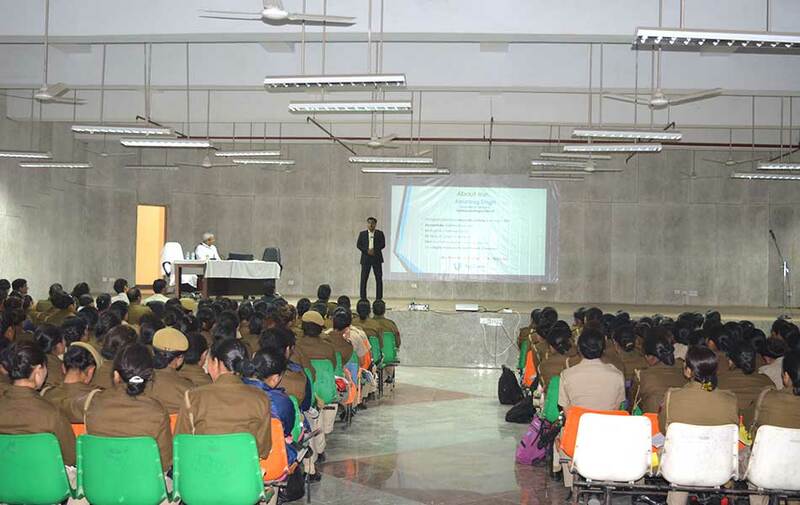 This is our movement to educate cyber cell teams of Noida Police Departments in India about the techniques & procedures of tackling with increasing cyber criminal activities within corporates and other sectors. 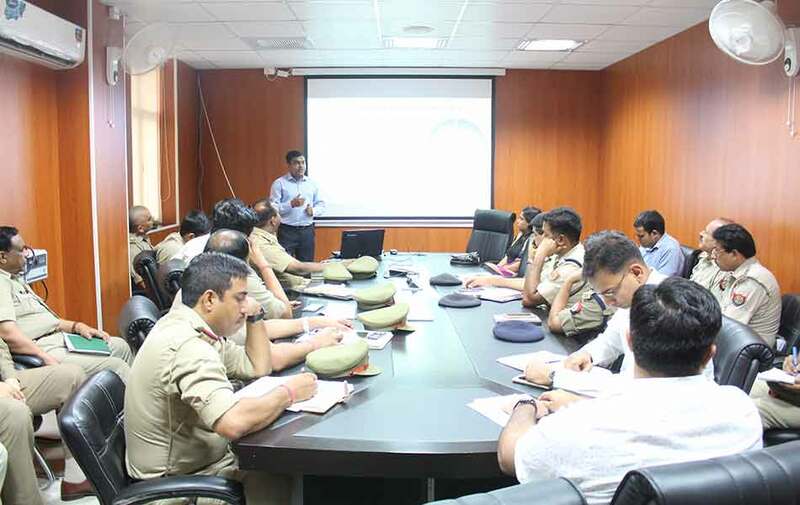 Collaborated with Police Department of Noida, Uttar Pradesh and Delhi held out technically rich training seminar for cyber cell team about eDiscovery procedures to help raise the standard of digital forensic investigations. We share the specialization on investigating varied email repositories available, for parsing through a variety of storage types during examination processes with the class-apart features of MailXaminer. A quick adaptation and understanding of constantly transforming technologies to be capable of rendering unaccustomed ways examining new data types, patterns of culprits misusing confidential and private user data for financial gains or other benefits. Deal with all latest email data repositories and web services to attain seamless examination of electronic communication owing to the standalone programming of MailXaminer that is built compatible with a variety of email services globally. Get complete support during investigation procedures with comprehensive set of qualities integrated within MailXaminer to make it a one-stop solution for email examination procedures right from organized case management to in-depth examination. 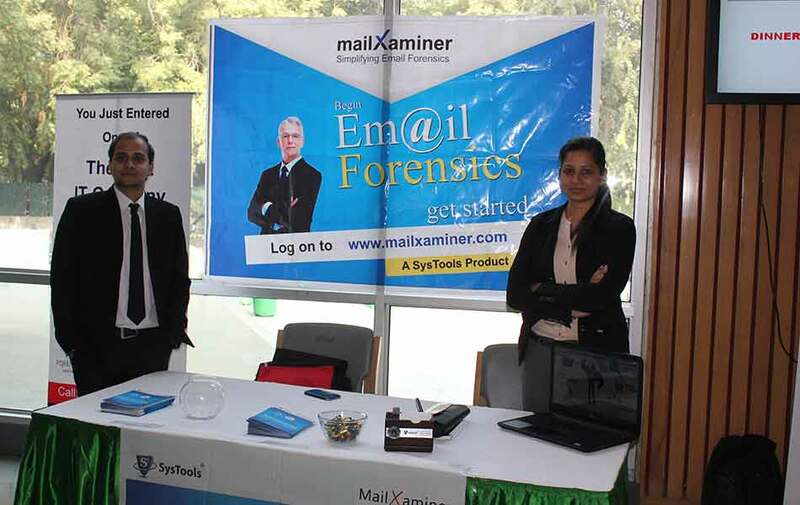 Availability of MailXaminer in USB licensing ensures usage of the examination tool on multiple machines cutting down cost investment of investigators for attaining mobility of the application during investigation procedures. Computer/Laptop and their connecters, Internal & External Hard drives, Pen Drives and Flash Drive, Memory Cards & SDMMC, SSDs’, Mobile Phones (Android, iOS etc. ), Smart Watches & TV, CCTV with DVR/NVR, Electronic Locks, Internet of Things etc. Hands on experience with major tools & effective techniques used for successful digital forensics investigation. Key information from Mobile Devices. Cellebrite UFED, Guidance Tableau, MailXaminer etc. We give you a one of a kind opportunity to learn from the Digital Forensics experts. Get hands-on experience of the comprehensive subdivisions in the Computer Digital Forensics Technology. The Digital Forensics Training program extends far more from being just a technical learning session with the specialists. This program is denoted as a Certification Program for a reason. It officially certifies practitioners as Experts in the chosen area of expertise. The only thing that doesn’t change is change itself, and technology is ever changing. This opportunity of exploring technology with SysTools offers its learners to dig into all the latest technological trends and industry updates. We have a group of technically versed consultants at your service to navigate you through the highs and lows of all the rendered services. Get answered to all your queries; technical and otherwise, with no delays. Data Security, Investigation, Management, to Forensics – Choose the right category of service from the broad variety of services featured by SysTools and get the utmost results guaranteed. Learning never goes to waste, it is the time that does. Consult us and choose the right digital forensics training program to get certified as an expert and choose not to waste but preserve your time. The technical session is prepared for 40 minutes lectures that planned for 2-3 weeks of duration. During the period of training, technical trainees of the program will be provided detailed lectures on advanced digital forensics. The lectures will be accompanied by practical sessions on tools, techniques, and investigation devices defined in the lectures. The non-technical session will consist primarily of lectures of 40 minutes duration each. The entire training session will be wrapped up in 1 weeks’ time. The trainees will be going through details about the basics of digital forensic cases and cautiousness required for conducting them. NOTE: An additional provision of practical sessions, if required, will extend the duration of the training to an extra 1 week. You are required to verify your educational and professional qualification (whichever applicable) before enrolling for the SysTools Cyber Security Training in India. 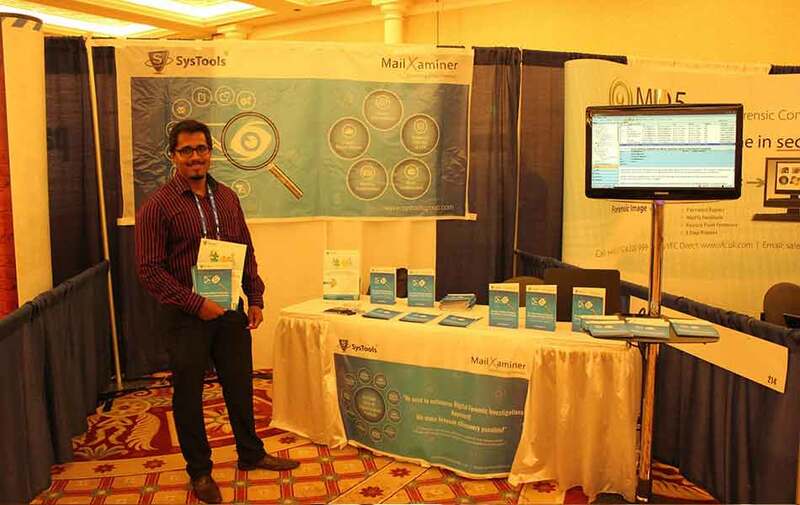 Where is your Digital Forensic Training Center situated in India? We are situated in the Dwarka, New Delhi. You can reach us at the given address: SysTools, City Center mall, Dwarka Sector 12, Opposite Dwarka Sector 12 Metro Station, New Delhi, India. In case of issues locating, kindly contact us on the provided contact details. What will be the overall duration of the digital forensic course (Technical)? The Technical Session along with Practical session will be 40 Minutes Lecture for 2-3 weeks. The Non-Technical Session for 40 Minutes Lecture will last for 1 week while additional practical session will extend it for one more week. What is the nearby location or landmark to reach your training center? The training center is situated at SysTools, 5th Floor, City Center Mall, Dwarka Sector 12, opposite Dwarka Sector 12 Metro Station (Gate Number 1). You can catch a metro from Dwarka Sector 9 Metro Station (nearest to your location) to reach us. What will I gain at the end of this Digital Forensic Training program? The course is meant to train the candidates with complete knowhow of Digital Forensics, which includes; incidence response, selection of correct evidence source, understanding of investigation tools and techniques, and implementing the use of the available resources tactfully to yield results. Is this only a theoretical training or practical approaches too will be taught? We will be covering both theory and practical session on the advanced level for training enrolled candidates about Digital Forensics. You will not only learn about digital forensics but will also get demonstration on the usage of the advanced tools and devices available for conducting the same practically. What will be the total cost of the computer forensics syllabus in Delhi? Fee structure of the course can be consulted by contacting the support department using the given contact details. Can I enroll for the training program without any forensic certifications? Yes, you can very much enroll for the Digital Forensic Course without any forensic certification. However, it will be a benefit for you if you do have one such certification. Read the course details to know about the background required for enrolling in the cyber security course in Delhi. I have recently enrolled in the Digital Forensic Course provided by SysTools and feel privileged. So far, I have only had the chance to attend 3 lectures but I got to know a lot about the advanced digital forensics. I am completely stunned by the trainers. There were only a faint number of options to have a career in digital forensics especially in India. However, this training program is ensuring that Indians stay a step ahead and secure their cyberspace. Thanks for the great training sessions. The trainers are really helpful and extremely knowledgeable about digital forensics. They really are experts in what they do. I believed I knew way too much while despite being an investigation officer, I found out a lot more about the things I already knew, but in detail. Thanks! What stunned me the most during my first two lectures was the fact that the trainers were not only equipped with the best of knowledge but also with skills. We were provided practical sessions on some of the best in industry tools and devices. The classes are becoming more interesting with each passing day! I had always wanted to learn something as interesting as Digital Forensics. Thankfully, you are providing cyber security course in Delhi which is my city of residence. It is really easy to commute by metro to the training center because it is situated right across Dwarka Sector 12 Metro Station.